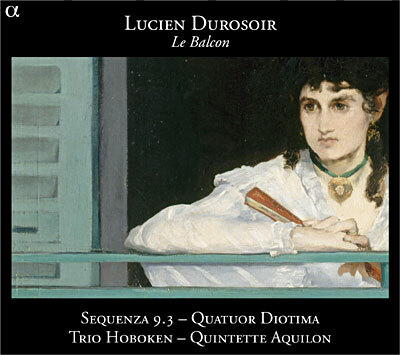 This first recording of chamber music by the composer Lucien Durosoir (1878-1955) is the first in a series intended to revive the works of this composer, who deserves to be better known. 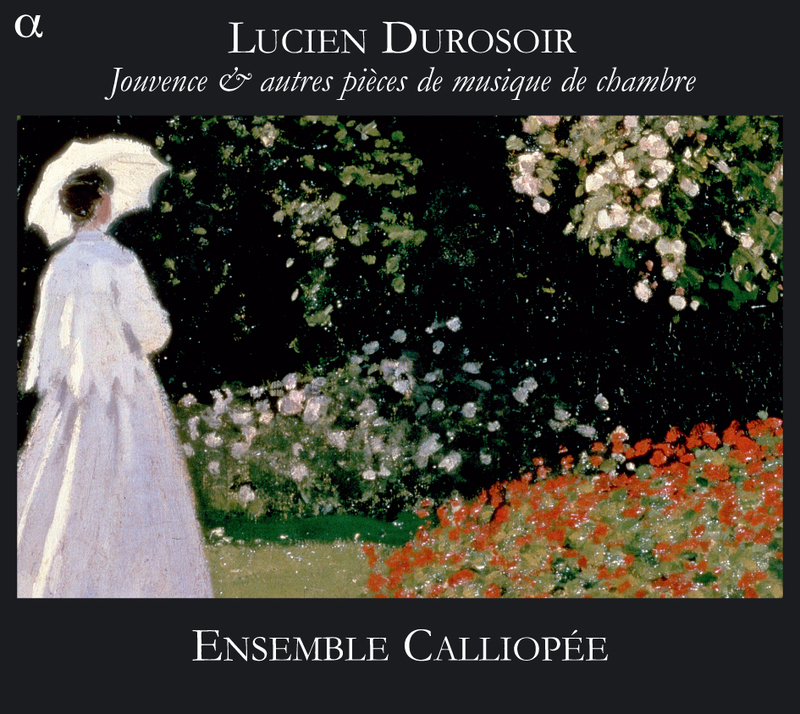 After spending the whole of the Great War fighting on the front, Lucien Durosoir retired to his native village in the Landes (south-west France), where he composed works that he never had published. 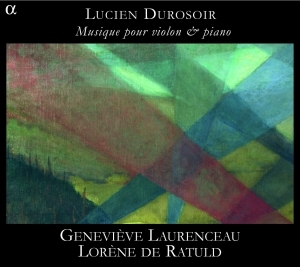 The talented interpreters, Geneviève Laurence, violin, and Lorène de Ratuld, piano, bring out the beauty of these works with intelligence, respecting their intentions and capturing their spirit. We discover music that is strongly personal, expressing lyricism and tenderness, cheerfulness and humour, sensitivity and tragedy. A new landmark on the fascinating path leading to the discovery of Lucien Durosoir. 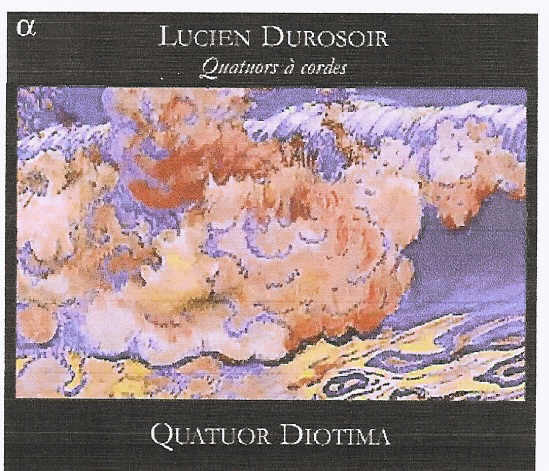 A virtuoso violinist who was so badly shocked by the First World War that he withdrew from the world altogether after the conflict, Lucien Durosoir still composed works for himself alone, which have mostly never been played. Influenced by Debussy, but also by the German romantic composers which he revered before the war, his music shows great formal skilfulness but, at the same time, a degree of inspiration which is often lacking in creative artists much more famous than himself. After a disc devoted to his violin and piano music, Alpha pursues in this line with Durosoir’s four quartets, complex and difficult works to play, in which the composer has concentrated the essence of his musical language and personality. This is the third disc of his music from Alpha and contains the largest-scale works so far: the 21-minute Jouvence of 1921 for violin, string quintet, flute, horn and harp, whose entrancing Impressionist textures and harmonies of the first two movements are goosed somewhat by an ironic (not terribly bitterly) third movement funeral march; and the 25-minute piano quintet from four years later which also has the passion, spirit and suppressed violence interwoven with elegiac, tender and intimate qualities along the Fauré-Debussy-Ravel axis of style which he pursued after living through Verdun. The shorter pieces range from four to eight minutes in length and from 1921 to 1946 chronologically and have their own attractive felicities. The notes allude to several large-scale orchestral works; not Alpha’s metier but could someone else be interested? Durosoir is an important “missing page” in 20th century French music and we can only hope for more. Served by very high-level interpreters, the fourth volume in this series underlines and strengthens the public’s growing interest in this previously unpublished repertoire. This new volume reveals a Lucien Durosoir somewhere between impressionism and modernism, confirming the genius of his very atypical language. Blending in with the shimmering colors of Le Balcon for choir and string quintet, we find a tender lullaby, a virtuoso trilogy for piano and cello, and an Idylle in which music becomes poetry.